Join us On the Objective as your host Steven Menking (The Amateur Society) sits down with Christian author and speaker Gregg Jackson. Right now is the time to believe in the gospel of Christ and secure your eternal salvation. 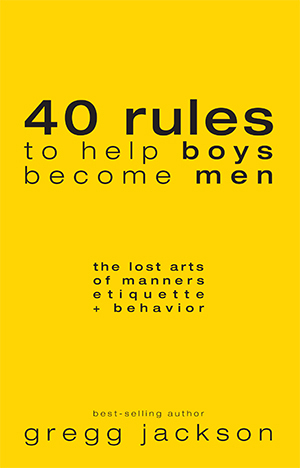 Gregg has a new book – 40 Rules to Help Boys Become Men: The Lost Arts of Manners, Etiquette, & Behavior – that is highly recommended. We need to understand that everything we do matters to God. Even the small things. Especially the small things. Seek His will for your life today! Next articleAll Christians (whether Jewish or Gentile) should love the Jewish people since we have the “King of the Jews” Jesus (whose parents were both Jewish) in our hearts.